From the success of One Uptown Residence, Uptown Bonifacio launched its latest spin-off project. With the same high-end concepts and ensembles, UPTOWN PARKSUITES will rise in June 2018 (plus six months grace period). 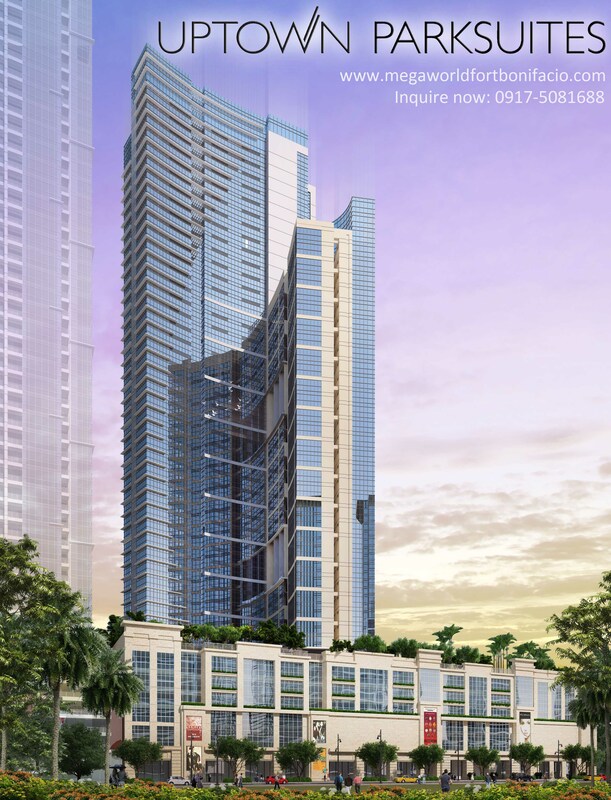 Located in the most affluent township of Megaworld Corporation yet, UPTOWN BONIFACIO. Inside the very exclusive 15-hectare township community, Uptown Parksuites will transcend with it’s unique and alluring full glass, floor to ceiling structural design. Uptown Parksuites will be neighboring the township’s housed multinational companies, embassies, international schools, upscale commercial areas and other internationally acclaimed residential skyscrapers alike. A few steps away is the township’s state-of-the-art mall, Uptown Place, that will accommodate luxurious and designers brands, restaurants, cutting-edge cinemas and a supermarket that will present its residences the convenience and the luxury of time. Uptown Parksuites is assured to be in one of the most prime locations in the nation today. With short strolls, you can reach St. Lukes Medical Center, several international schools (Int’l School Manila, Manila Japanese School, British School Manila), S&R Membership Shopping, Burgos Circle, Fort Strip, Market! Market!, Bonifacio High Street, Serendra and, just a few steps away, the upcoming Grand Hyatt Hotel development. Enjoy the comforts and the luxury of time that this condominium will impart to you. Across the Uptown Place, it’s strategic location and steadfast property value, there is nothing more that you can ask for. Except, there’s more. Leisure is not complete with its resort type amenities – lounges, pools, and decks. Stay at home, but feel like you’re in a vacation. 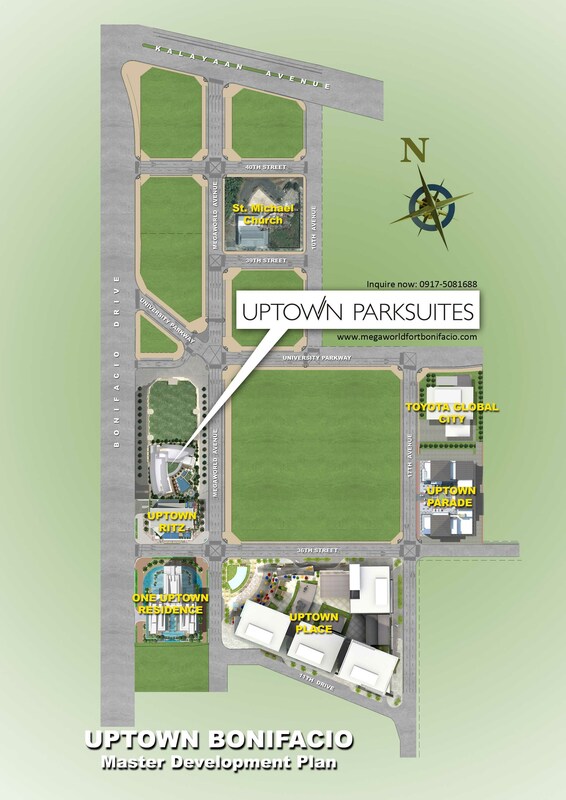 Last but not the least, Uptown Parksuites will be highlighting a two story luxury commecial area (Uptown Parksuites Mall) on it’s ground and second floor to showcase what uptown living truly is. 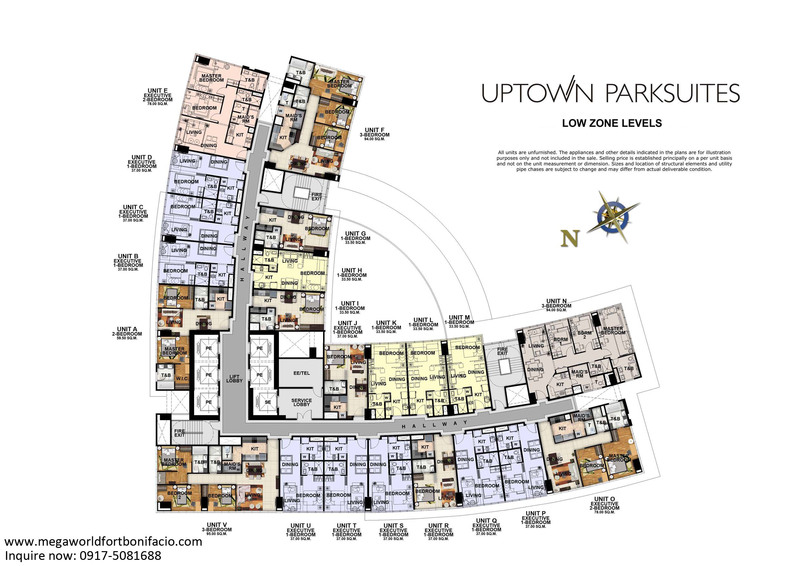 Uptown Parksuites will be hosting pre-furnished 1BR, 2BR and 3BR units as well as a 450 sq. m. two-story penthouse unit. 94 – 95 sq. m.
The best part in this uptown living, you may avail of its launching price, discounts, and TERMS. or very minimal downpayment and monthly at FOR AS LOW AS P10,000! or very minimal downpayment and monthly at FOR AS LOW AS P10,000! Thanks.